Life is bleak but uncomplicated for sixteen-year-old Tess, living in a not-too-distant future where the government, faced with humanity's extinction, created the Chosen Ones, artificial beings who are extraordinarily beautiful, unbelievably strong, and unabashedly deadly. When Tess begins work at Templeton, a Chosen Ones training facility, she meets James, and the attraction is immediate in its intensity, overwhelming in its danger. But there is more to Templeton than Tess ever knew. Can she stand against her oppressors, even if it means giving up the only happiness in her life? Tiffany Truitt was born in Peoria, Illinois. A self-proclaimed Navy brat, Truitt spent most of her childhood living in Virginia, but don't call her a Southerner. She also spent a few years living in Cuba. Since her time on the island of one McDonald's and Banana Rats (don't ask), she has been obsessed with traveling. She recently added China to her list of travels (hello inspiration for a new book). Besides traveling, Truitt has always been an avid reader. The earliest books she remembers reading belongs to The Little House on the Prairie series. First book she read in one day? Little Women (5th grade). First author she fell in love with? Jane Austen in middle school. Truitt spent most of her high school and college career as a literary snob. She refused to read anything considered "low brow" or outside the "classics." She began teaching middle school in 2006. Her students introduced her to the wide, wonderful world of Young Adult literature. Truitt is proud to call herself an educator and Young Adult author. She received her MA in literature from Old Dominion University. 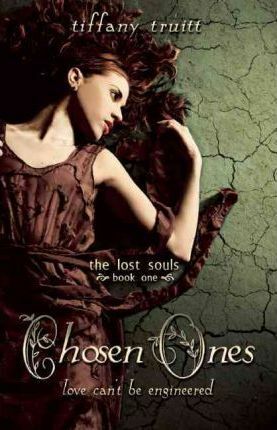 Her debut Chosen Ones, first in the Lost Souls trilogy, is a searing look at what it means to be other and how we define humanity, as well as a celebration of the dangerously wonderful feeling of falling in love.